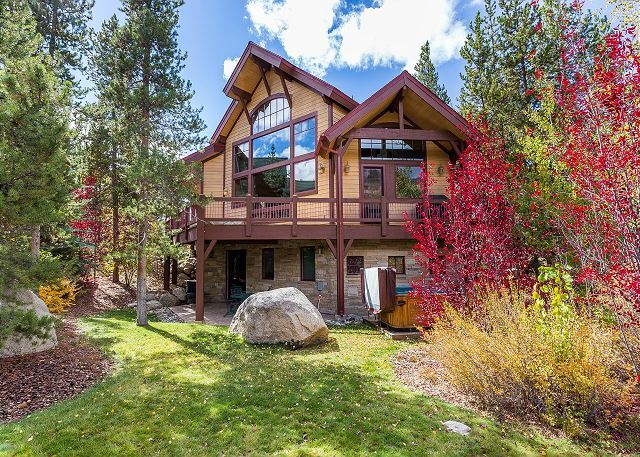 This stand-alone mountain home features spacious decks and a hot tub on the patio. Other features include vaulted ceilings, three king beds, private laundry and a two-car garage. 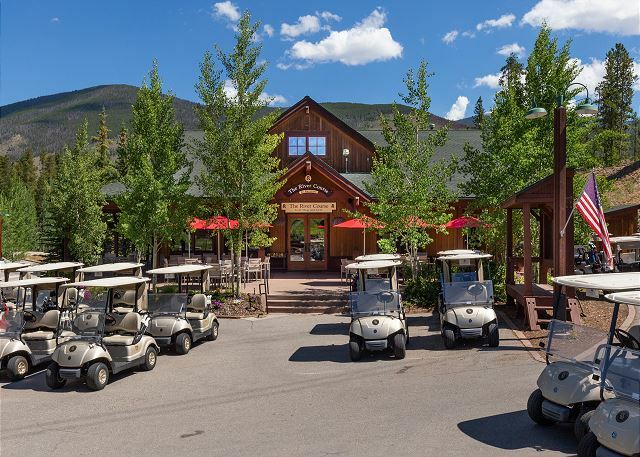 Located in West Keystone near the Nordic Center and next to the golf course. 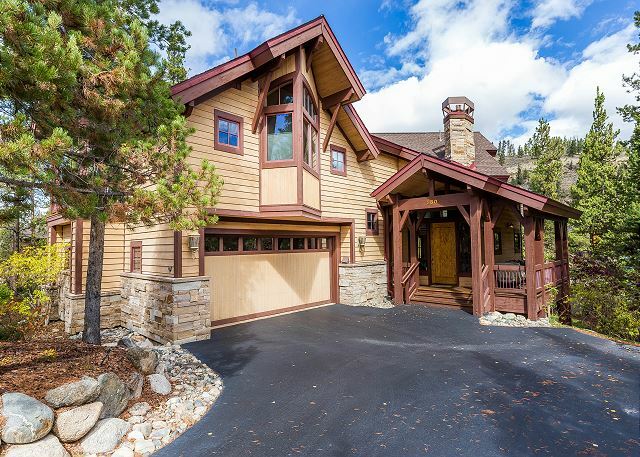 This stand-alone mountain home is 3,760 square feet and has 4 bedrooms and 3.5 bathrooms and sleeps 10. Bonus rooms include a spacious loft upstairs and a den in the basement. 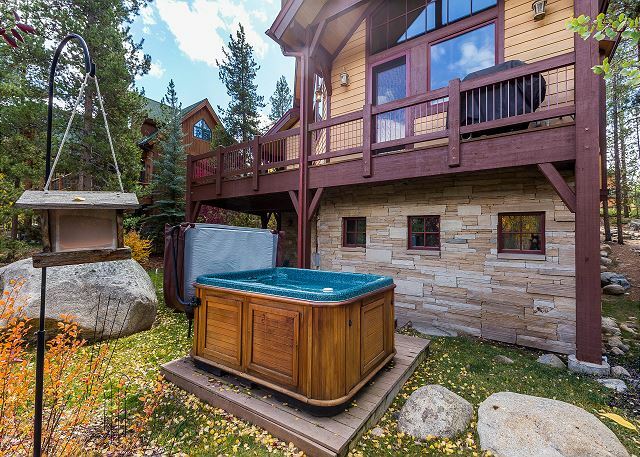 It features a private hot tub with beautiful views and three king beds. 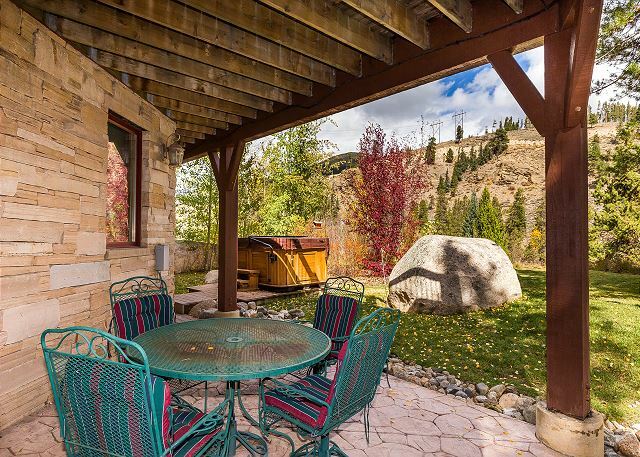 Other features include spacious decks with scenic views, private laundry and a two-car garage. 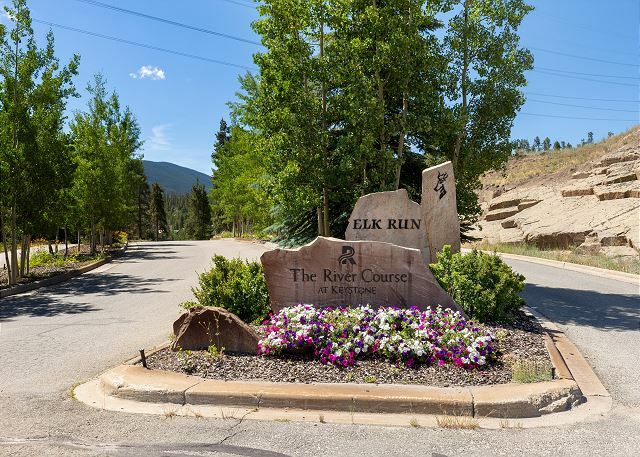 Located in West Keystone next to the Nordic Center and one of Keystone's championship golf courses, The River Course. 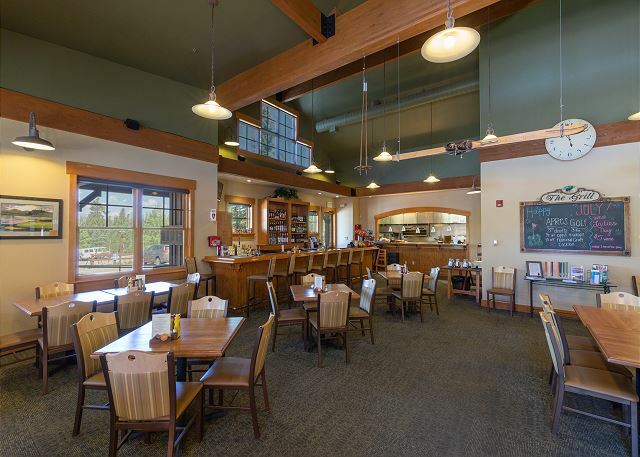 It’s the perfect place for a family vacation or golfing get-togethers. (And, if you need more space, we manage another home in the same subdivision. Contact us for more information!) Plus, you're away from the hustle and bustle of the resort but by car just minutes from all it has to offer. 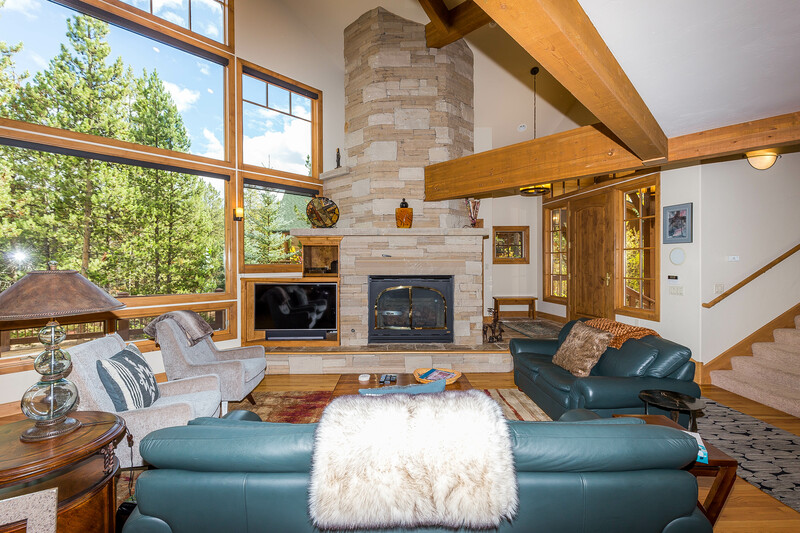 Inside you have wood beams and vaulted ceilings giving the feel of a real mountain home. The entryway offers a bench and a closet for your convenience. Walk down to the living area featuring large picture frame windows that let natural light stream inside. There is comfortable furniture around a beautiful floor-to-ceiling stacked stone gas fireplace and a flat screen TV and Blu-ray player complete with cable that includes a sports package. The homeowner has provided a pack 'n play and a high chair for families with young children. The full-sized kitchen is stocked with all the essential cookware and tableware to make a meal away from home and has granite countertops and stainless steel appliances. There is plenty of storage with custom cabinetry and a wine cooler for gatherings. The dining area offers beautiful views and seats six comfortably with two additional chairs. There are three seats at the breakfast bar. Head outside to the spacious deck offering seating and beautiful views. Fire up the grill and enjoy a night under the stars. The main floor half bathroom is just off of the entryway. All bathrooms are stocked with towels and an initial supply of toiletries. The laundry room is also on the main floor. It features a full-sized washer and dryer and a sink. For your convenience, laundry detergent is provided. The first master bedroom is upstairs and features a king-sized bed, a Smart TV, a gas fireplace and its own private balcony. The vaulted ceilings and large windows lend even more space to this oversized master. The en suite bathroom has a large vanity with double sinks, and through another door is the toilet area, an oversized jetted tub and a walk-in shower with dual shower heads and a bench. Also upstairs is a spacious loft with a dedicated office space and a seating area with a queen-sized sleeper sofa. Additional sheets and blankets are in a closet. The second master bedroom is downstairs and features a king-sized bed. The en suite bathroom has double sinks and an oversized shower/tub combination with glass enclosure. The first guest bedroom features a king-sized bed and its own access to the downstairs guest bathroom. The second guest bedroom has two twin-sized beds. The den offers a comfortable sectional and a Smart TV and Blu-ray player. The homeowner has provided a selection of board games for your enjoyment as well as an Xbox 360 preloaded with games. 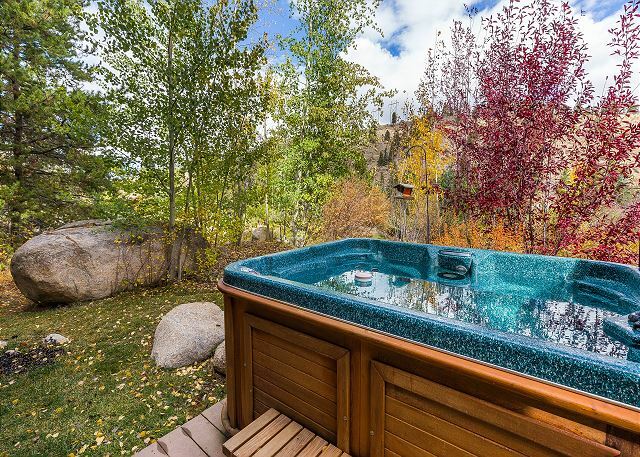 Or enjoy the walk-out patio and head out to the private hot tub offering beautiful views. **Ultra-premium Linens** This unit has been upgraded with ultra-premium linens that rival those of The Four Seasons. Enjoy extra soft oversized towels and high quality bed linens that have a subtle satin stripe pattern for a look of elegance. Take advantage of this added luxury because less than one percent of properties in Keystone offer linens of this quality. 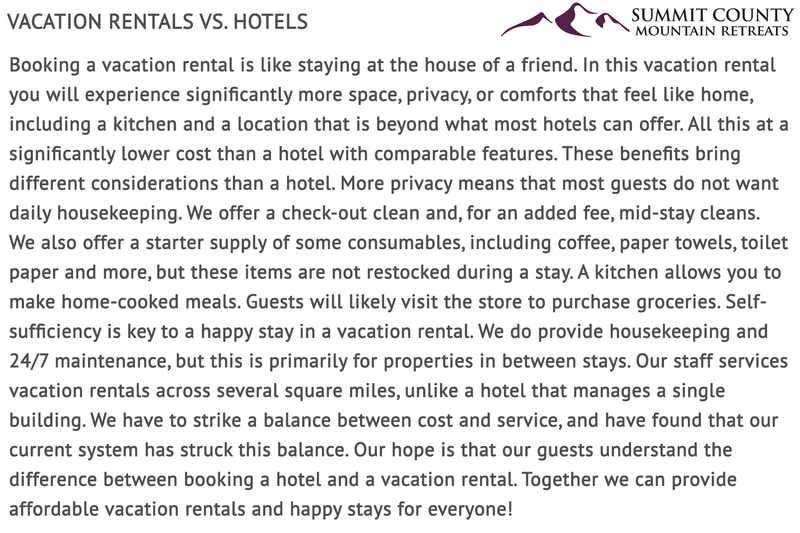 This vacation rental requires a minimum of 2 nights to be reserved. If you reserve less than 2 nights you will be contacted and asked to lengthen your stay or have your reservation cancelled. ENHANCED GUEST SERVICE: Rest assured that this home is professionally managed. We provide cleaning services, regular maintenance, lock-out service and 24/7 emergency call service. Regular Check-in is at 4 p.m., Regular Check-out is at 10 a.m. While our stay was really short, the property had a small window between other rentals and it worked for our last minute stay. Everything was amazing and we had a terrific time. Beautiful home with amazing views! Simply put.. it was a wonderful stay. The kitchen was well equipped and the rooms comfortable. My family had an amazing time. Transportation was a bit difficult with ubers/lifts but if you have your own vehicle you'll have no problem. The house was perfect for our family of 10! There was plenty of space for 3 little kids to roam. The house was conveniently located, so we were able to enjoy tubing, skiing, the ice castle, and dining at several different restaurants. This was a perfect rental. The communication was excellent, home instructions were flawless, and the house was even better than in the photos. It's warm and cozy, plenty of space, has a beautiful interior, and is very comfortable to stay in. Cannot say enough good things about this house. Everything from the linens to soaps to wifi instructions is done right. Beautiful home in a great location. The only issue we had were some of cabnets in the master bathroom were broken and 2 of the drawers under the stove top in the kitchen were in bad shape and needed repair. Otherwise this is great spot with tons of room for the whole family. This rental house was amazing. We hosted a family vacation for 10 of us-children and grandchildren. The house is beautifully decorated, very comfortably furnished and well-stocked. Hiking, Kayaking, fishing, and shopping were conveniently close. Breckenridge and Frisco were adorable towns to spend a day in. We enjoyed the Dillon Art Festival. Dining options were excellent all around the area. The Property Management team was awesome with quick response time and very helpful. After a day of hiking and outdoor activity, it was good to sit on the deck or relax in the hot tub with the fantastic view. The large dining table was great for our board games. This house is definitely one of the best rentals, we will be back. This property was so beautiful. I was easy to get to from Denver and eventhough it was located in a neighborhood, we felt like we were miles away from people. The photos do not do this place justice. It was so warm and cozy yet had enough space for everyone in my group to feel like they can have their individual space. We would love to rent this same house again. I took my team to this property for a company retreat in September. We had meetings during the day, cooked meals together in the evening, and relaxed at night. Overall it was the perfect location and a great experience. The house is spacious and the rooms have the right amount of comfortable furniture. The kitchen was well appointed and had everything we needed when preparing meals. I would definitely recommend this property to future guests. House was perfect for two families, One could stay upstairs and the other downstairs with a "buffer" zone in between that all but eliminated any noises from each other. Hot tub outside was hot and awesome, as well as Jacuzzi tub in upstairs bath and also large deep soaking tub in downstairs. Huge TV in downstairs theater room and Tv in upstairs and mid room too. Large kitchen with all the gadgets, seats 12 comfortably and sleeps 10 easily. 3 decks. Only downside ( which is why I gave 4 stars to location) is hwy 6 is wee bit noisy nearby which wasnt a real issue. Amazing, beautiful, and sheer perfection! Our family and friends enjoyed ourselves in this beautiful and massive home. It had stunning views of a mountain, creek, and gold course.We loved that there was a private hot tub, grill, and WiFi. Could not have asked for a better experience! Loved the house. Great location. Well equipped with everything and anything you needed. Very comfortable setting....Really enjoyed our vacation. We spent a week at this beautiful home with four adults, and three kids and had more than enough room for everybody to find their own space. The kitchen is large and well equipped. The TV and Wifi worked great and kept the kids happy when we were inside. 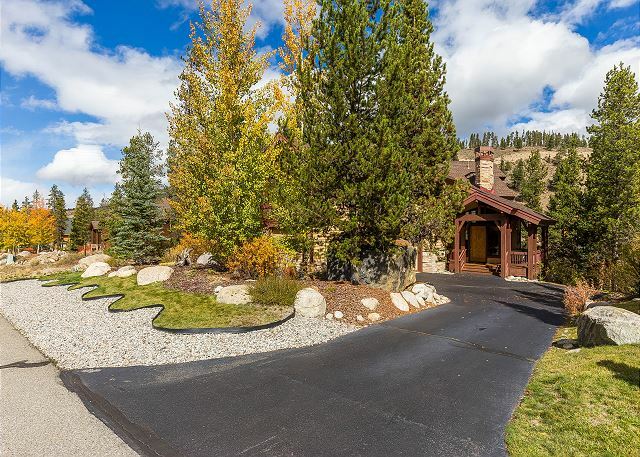 The location of the property is on the Snake River and between two golf course fairways. 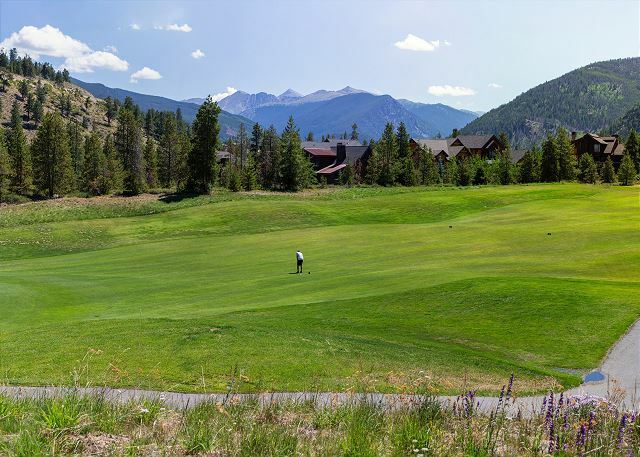 Very convenient to Dillon/Silverthorne and the Summit County Recreational Pathway system. Would definitely love to stay here again. The place was exactly as advertised and it was close to the golf course, fishing, hiking, and trails. Management staff response time was extremely fast and helpful. It was a wonderful cabin, very very clean and it has everything what you need. I was in different houses but this place was the best. Thank you. Thank you for staying with us! The home was beautiful. The beds were very comfortable. The hiking paths near the home were wonderful along the river. Easy access to the highway for travel. Nice kitchen and hot tub. Very pleased. Get every discount delivered right to your inbox. Sign up and get connected! All of us here at Summit County Mountain Retreats look forward to helping you build memories that will last a lifetime. And if you find a comparable property with a lower nightly rate anywhere else, we'll beat that price by ten percent.